…and when I say dummies – I’m thinking about myself a while ago. No, well, to be honest, I just decided to stop being a dummy and put myself together. And I- Kinga Witko – learned it by heart and – basically – by myself. How did I do that? Today I’ll give you some useful tips, that might help all SQL beginners to start their database adventure. If I managed to learn it – why couldn’t you? Most of you probably know that the one and only known source is the W3Schools website. SQL course is there as well. It is vast, full of examples and great exercises. The whole necessary knowledge is there, but for me – it wasn’t enough and I lack some structure in that course. Some time ago I started to get familiar with CodeShool. They have awesome online courses – each of them – which is basically adorable – has A SONG(!) about the language you’re learning. There is a song about SQL too :). Their online course is divided into to parts: one of them is free -for the other one – ‘The Sequel to SQL’ – you have to pay a few $, but it’s worth it. Not only the knowledge is structured but also supported with great examples and opportunity to go deeper into SQL. That was it – nitty gritty online course. It was also just the beginning. After the CodeSchool course, I was familiar with SQL enough to get back to W3Schools and practice more. But it still wasn’t enough. I wanted to have some real database to make and brake (in worst case scenario). I was recommended to install a free database named PostgreSQL. It is easy to install and really great. When you go through setting up your own database, tables and so on, you’ll eventually learn a lot. Believe me. If you’re a ‘mobile’ person like I am – I would also recommend you a great Android app (not very pretty, but valuable) – LearnSQL. I was going through several free Android applications for SQL learning and this one was the best. Well done, chaps! Where to find correct queries? Try this website. 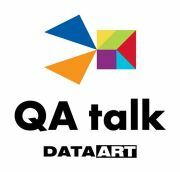 It’s about SQLite, but the whole queries stuff is represented by simple graphics and allows you to learn more and to get familiar with all the useful possibilities that SQL gives you. So – your mission for today. Stop being a dummy as I was and learn SQL. It is not as hard as you might think. Good luck!